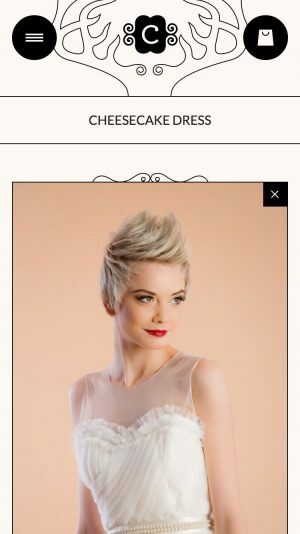 We rarely had the pleasure of working with a brand that knows itself as well as Chotronette does. That didn’t make what we embarked on much easier, but it sure did great things for the final result. Our goal was to expand the brand’s visual presentation in printed materials and leverage the obvious growth potential by designing and developing its online store. 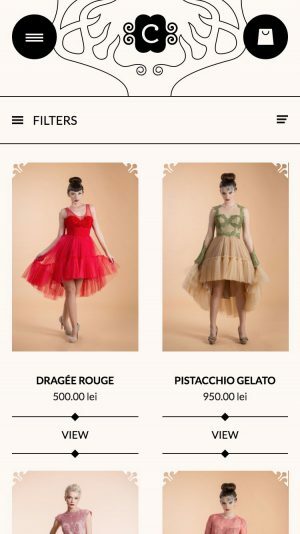 There’s a very specific style and attitude that defines Chotronette as a brand and that was to be taken into account when designing the store. Much of this style comes out through the beautiful dresses they sell, which take up a lot of the visual space on the website. Moreover, the interface had to be a clean one, sales driven and traditional in terms of layout and flow. The approach we had was to view style solutions at a micro level, focusing on making the tiny elements of the interface stand out and also work well together. We designed the interface by focusing on how the buttons, frames, pre-loaders all fit together to create a unique visual experience. 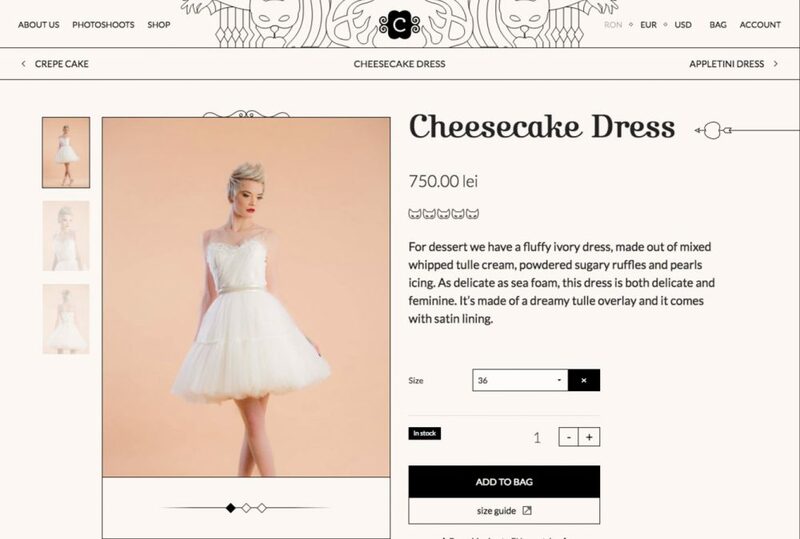 Product photos change on mouse over, giving the user a view of the dress from the back-side, while subtle animations make interacting with the website a pleasure. Zooming and panning for product photos makes it easier to see the beautiful details of the dressed. An easy selection process lets you choose your size or enter custom measurements for checkout. The filters and shopping bag are shown as off-canvas panels to leave room for the products on the page. 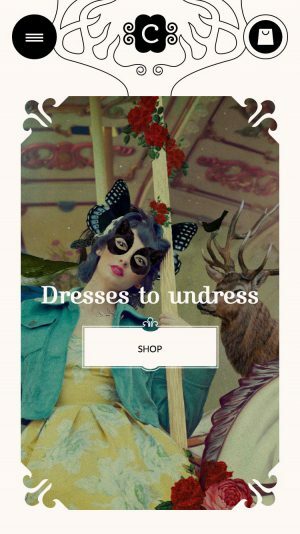 Making sure the website behaves on mobile was key. 60% of the total traffic on the website currently comes from mobile. 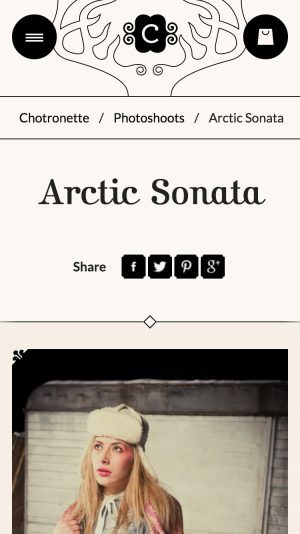 Like many other of our projects, we built Chotronette on the Zurb Foundation framework. Just in the first day of the launch, Chotronette had more than 13000 visitors with an additional 55000 in the first month. The success was also projected in sales, which continue to grow today even more than it did in the first year. Having the opportunity to engage in such a project is exciting. Never have we seen so much love for such a unique brand and the results indeed took us by surprise. The ups and downs are not yet over, as we’re still engaged in making the store better and better.